Woman parents and in-laws also live in the same home. The victims were identified as Ravinder Pal Singh, 59, and the wife, Rajbir Kaur, 62. 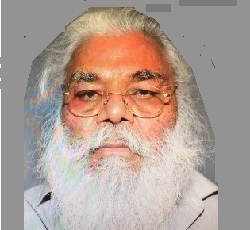 Darshan Singh Dhanjan, 65, has been charged with two counts of murder and one count of criminal threats. Now Dhanjan will be held in the Fresno County Jail in lieu of $3 million. Darshan Dhanjan's daughter-in-law Jaldeep Kaur, was upstairs and heard loud noises and came downstairs, bringing her young daughter with her. She saw her mom and dad lying in the recliner. Ravinder Pal Singh still had the remote control in his hand when he was shot and killed. It looks that there is on struggle at all. Jaldeep Kaur run upstairs. Darshan Dhanjan called his wife and told her what he had done. He hid the gun inside his bedroom then got in a car and drove away. Jaldeep Kaur told police her father-in-law shot the two. Her parents and in-laws also live in the same home. Jaldeep Kaur's husband, was working at the time.